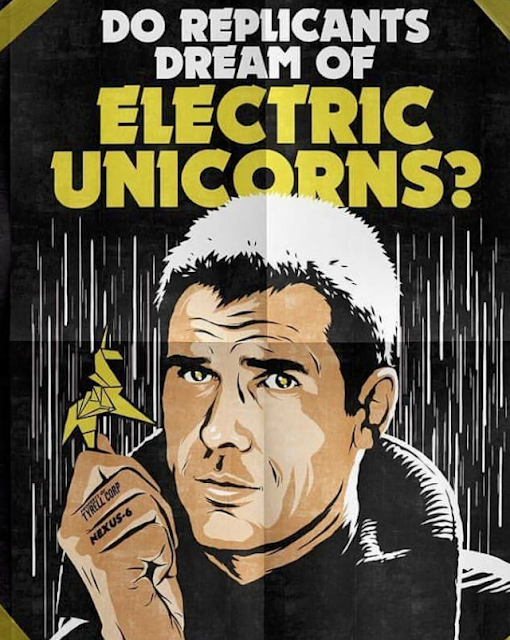 Not long after this release for pre-order of a RICK DECKARD resin figure (since SOLD OUT, as if there were any doubt! 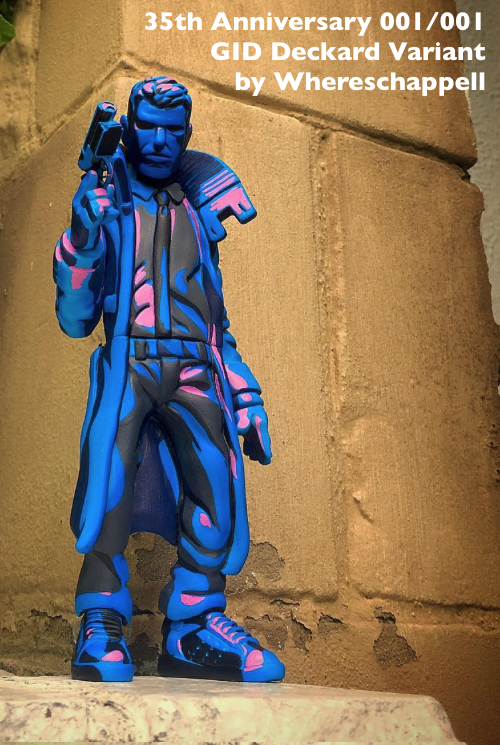 ), UK-based Cracked Hatchet offers up this stupendous 20cm tall 35th Anniversary 001/001 GID Deckard Variant - available ONLY via online auction on Instagram, where you place your bids (full £GBP) HERE (in the comments field), with bids ending Sunday June 25th at 20:19 UK time. Good Luck & Happy Bidding!